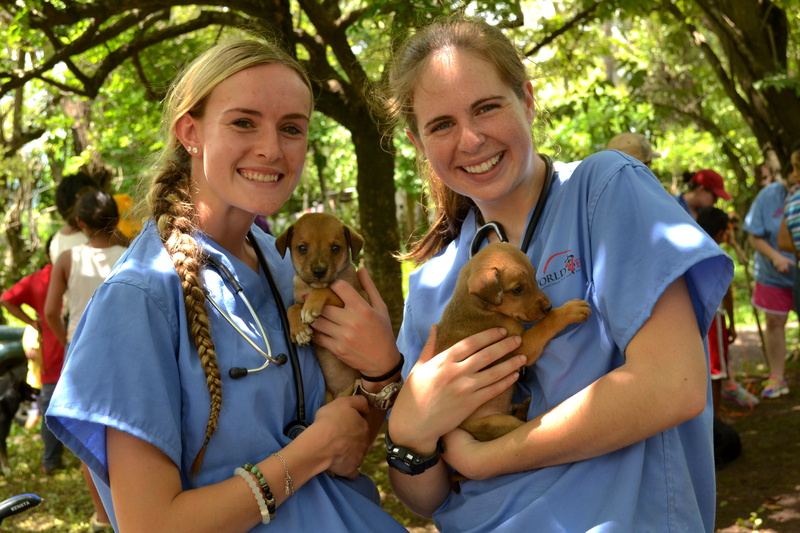 The International Veterinary Medicine (IVM) Program is World Vets student program that is run out of our of Latin America Veterinary Training Center located in Nicaragua. 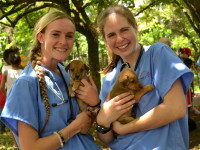 The IVM Program provides English speaking students with a unique training and cultural experience by providing them an opportunity to gain practical veterinary experience within an international context. In 2018 we will be adapting the IVM Program to a field project setting. In this way students will receive the same hands on veterinary experience, with guidance and supervision from licensed veterinarians and technicians. However, the location and work conditions will vary. 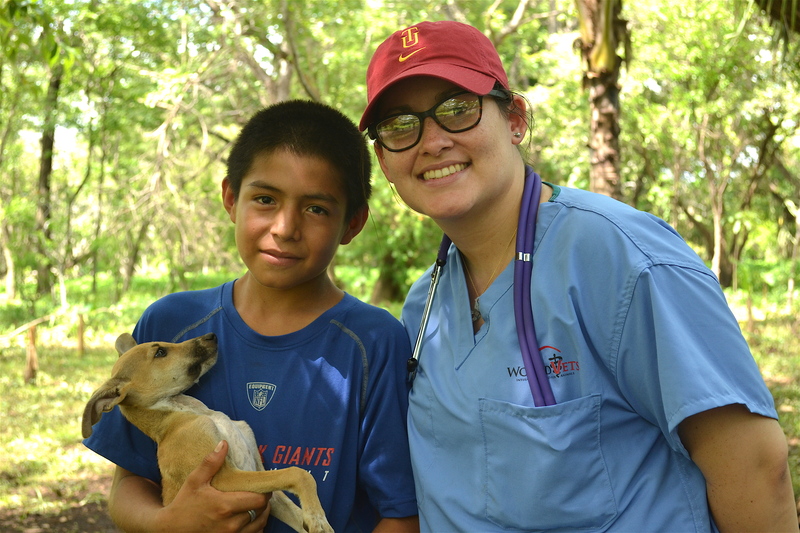 Instead of operating out of a teaching facility, students will work in a non-clinic environment and in turn be exposed to practicing veterinary medicine in a field-clinic setting. Our upcoming IVM “Field Project” will take place in Utila, Honduras from May 12 – 19, 2018. Project information as well as student and instructor registration will open Fall 2017. What is the difference between the IVM Program and an IVM “field project”? 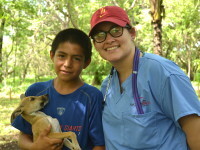 The IVM Program takes place at World Vets Latin America Veterinary Training Center (LATC) located in Granada, Nicaragua. The LATC is a teaching facility equipped with up to date medical, surgical, anesthetic and monitoring equipment. The IVM “field project” that has been scheduled in 2018 will take place in Utila, Honduras. You will not work in a training facility that is equipped like the LATC. Instead you will work in field clinic conditions where we will operate a fully functional mobile surgery setup and travel with the veterinary supplies needed to provide routine veterinary care. The itinerary for the IVM field project is styled after our small animal veterinary field projects (see below for typical itinerary). Similar to the IVM Program, three full days will be dedicated to “clinic” and performing spay/neuter surgeries. However, there will not be a community outreach day where you will visit a rural community to provide veterinary services. Instead, you will also tend to health consultations and other potential surgical cases (alongside sterilization services) during the 3-day field clinic. With that being said, students and instructors can expect this to be a strictly small animal project, where horses and/or livestock will not be seen and/or treated. 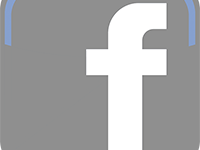 What is the same between the IVM Program and the IVM “field project”? Similar to the IVM Program, the IVM field project will emphasize a high quality, low stress and hands on environment for students to learn and practice new skills. 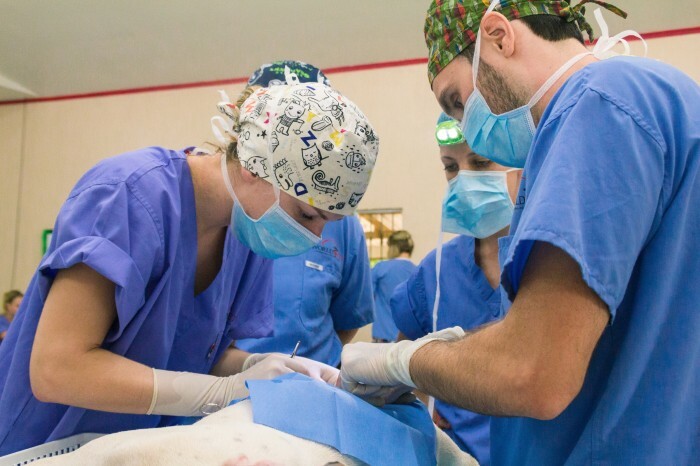 Veterinary students will work with DVM instructors to perform sterilizations and surgical monitoring, meanwhile pre-veterinary and veterinary technology students will work with LVT instructors in patient prep and induction. The positions available on the team roster will be for DVM and LVT instructors as well as veterinary students, pre-veterinary students and veterinary technology students. There will not be positions available for “assistants” and/or those who cannot be classified under the category of student and/or instructor. Those interested in an instructor position should send a copy of their current license and CV/resume to info@worldvets.org to be considered. Licensed veterinarians and technicians must have at least one year of clinical experience to qualify for an instructor position, however, prior teaching experience is not a prerequisite. This is a low cost volunteer opportunity. While a regular veterinary field project features high volume spay/neuter services, the IVM style field project will consist of low volume sterilization (up to 30 surgeries a day), which will be condusive to teaching, learning and practicing. Today marks the official arrival day for the project. Participants will be asked to fly into Juan Manuel Gálvez International Airport* located on the island of Roatan, Honduras (Airport Code: RTB). Participants will also be asked to arrive by a designated time as the team will then take a ferry ride from Roatan to the island of Utila. *Volunteers may also fly directly to Utila, however please note that World Vets will not be providing airport transfers from this airport on arrival and departure days. If volunteers fly into/out of Utila, they will be responsible for their own airport transfers. The team will take part in a group activity today that will be arranged by World Vets. This is typically a half day activity giving volunteers the opportunity to do their own exploring and/or sightseeing as well. Today is set aside for free time and leisure. Volunteers will be responsible for making their own arrangements today for excursions, activities and/or sightseeing. 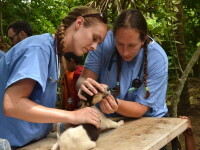 In the afternoon, World Vets field service veterinarian and a few volunteers will go to the clinic site to set up and prepare for veterinary services. Late afternoon/evening the team will meet up for a brief orientation to go over how things will run over the next three days. Veterinary services will be provided in a field clinic setting over the next three days. The anticipated work hours are from 8:30 am until 5 pm. Students will work one on one with licensed veterinarians and technicians in patient prep and recovery and to perform sterilizations. They may also take turns rotating through health consultations (dependent on local demand). Today marks the official departure day for the project. Participants will be instructed to schedule their departure flights for the afternoon as the team will need to take a morning ferry back to Roatan.